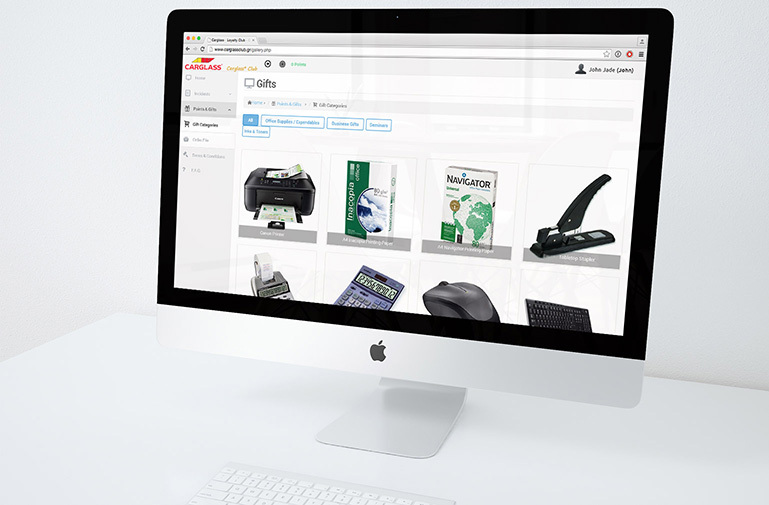 B2B system for managing Carglass Loyalty club, members, agents, requests, contests and gifts together with an echo platform for driving B2B content and generating reports. 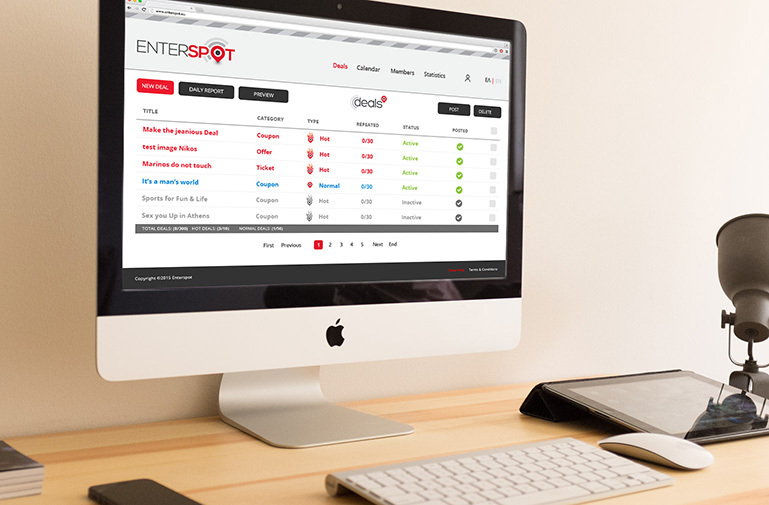 B2C & B2B interface for businesses providing free Internet hotspots in exchange for visitor analytics and Facebook Check-In. An echo platform as the back-end ensures the management of marketing campaigns with deals and coupons together with CMS tools and analytics reports. Web & Mobile application used by field researchers who conduct consumer surveys. All data is collected in echo, filtered, processed and served as dynamic reports on a separate B2B platform which is accessed directly from nielsen’s clients. 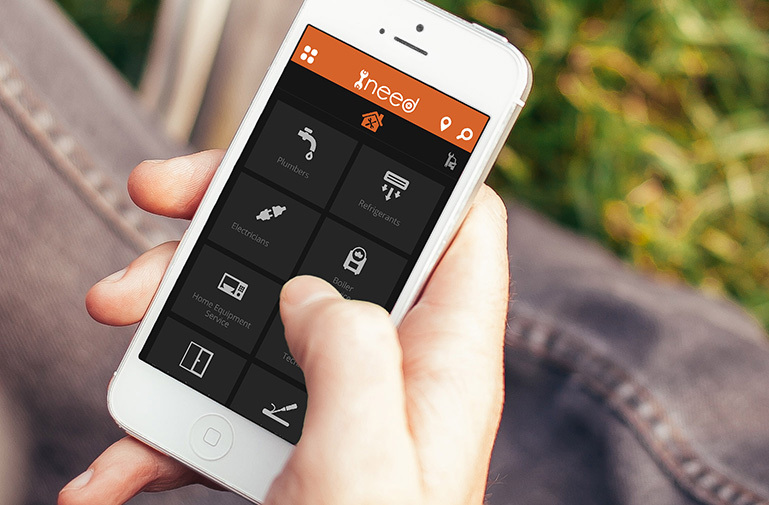 We develop native mobile applications for iOS (iPhone, iPad, iPod Touch) as well as Android and Windows 8 devices. We also create non-native HTML5 mobile applications for all devices to achieve the maximum flexibility in information management. Corporate applications that require the distribution of information stored in the cloud to devices, have the need of an easy content management system. Our own cloud platform, Echo, delivers content to mobile devices through fast and secure channels to ensure efficiency and reliability of information while on the go. 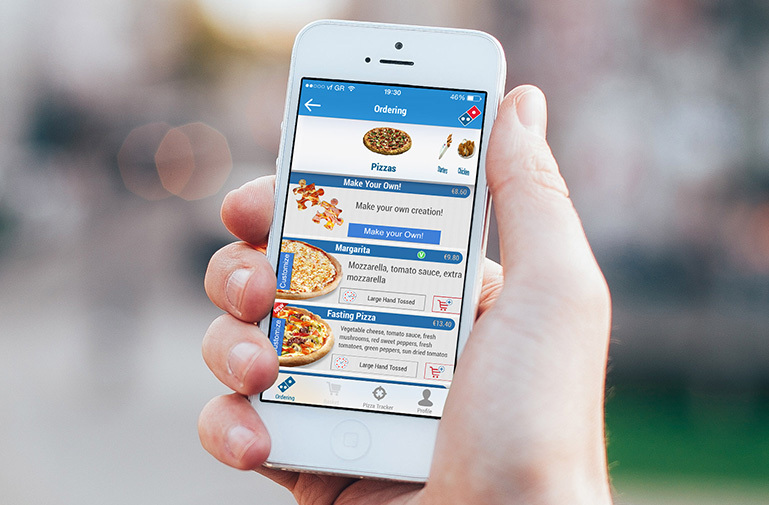 Native mobile ordering application for iPhone, iPad, Android Phone & Android Tablet. 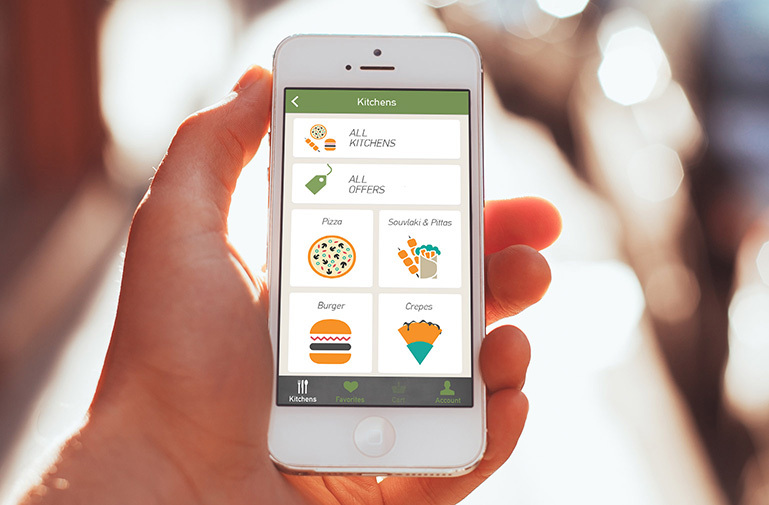 Native mobile food aggregator application for iPhone, iPad, Android Phone & Android Tablet. Native mobile professional utility services application for iPhone & Android Phone. Embrace the new user interface. 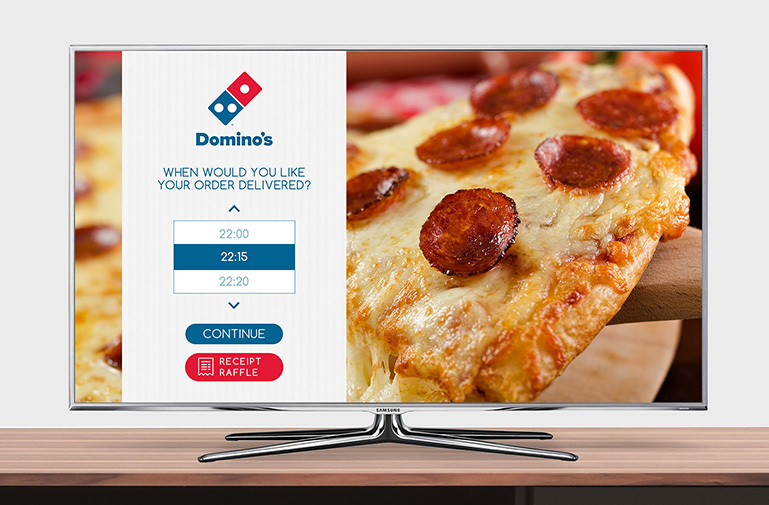 Through Smart TV application we open a new sales channel directly into your consumer’s living room becoming part of the entertainment. 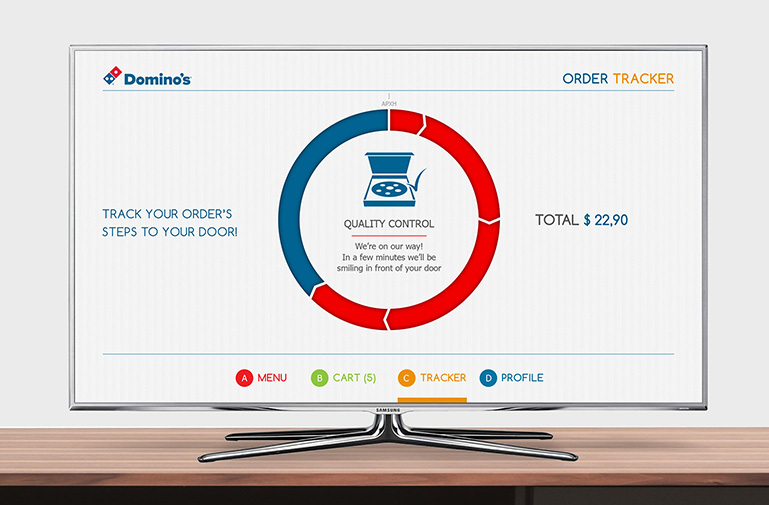 Be one of the first to embrace this new avenue of home entertainment technology. 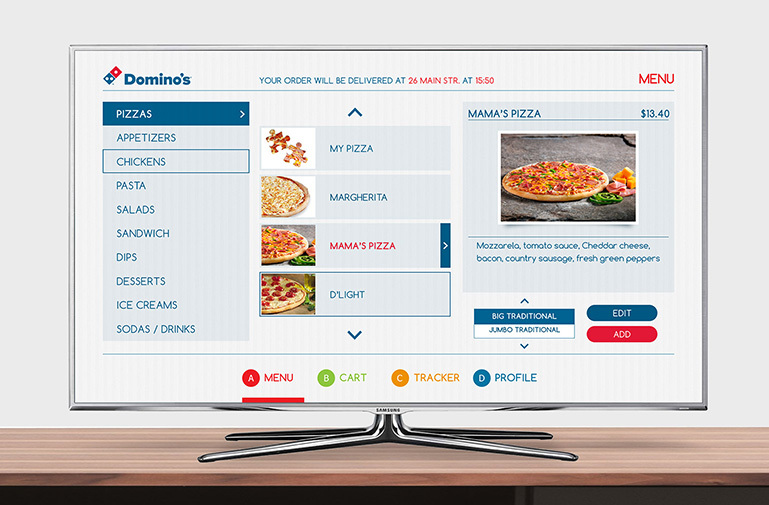 One of the first Samsung Smart TV applications to offer the full experience of online food ordering and was selected from Samsung as a featured pre-installed application into the TV. We have a group of IT specialists with great interest and experience in the area of Information Security and we are aiming to become the IT Security partner for any company or organization that is willing to measure its business risks and identify solutions and services to reduce the security gap in a trusted and affordable manner. We have been developing web sites since 1999 and our experience guarantees professional results.We build websites customized to the needs of your visitors and will be developed based on efficiency and user-friendliness according to the MIT and W3C standards. 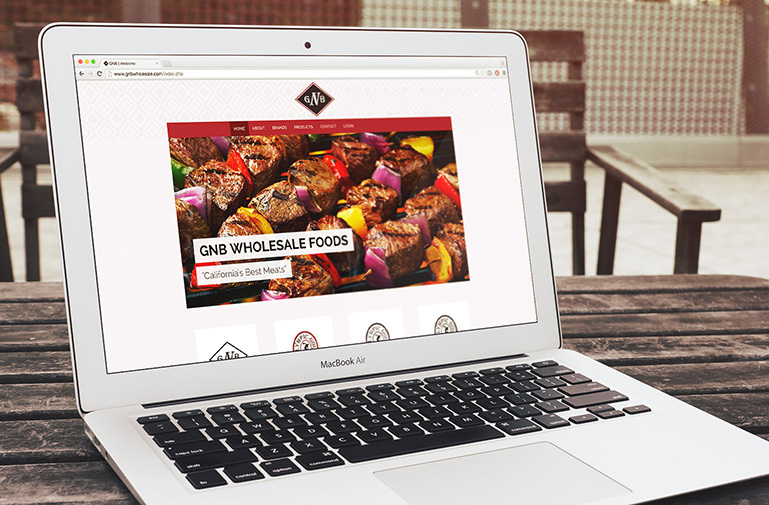 We design websites that represent the image of a dynamic and modern business and are expandable to accommodate any further requirements in the future. 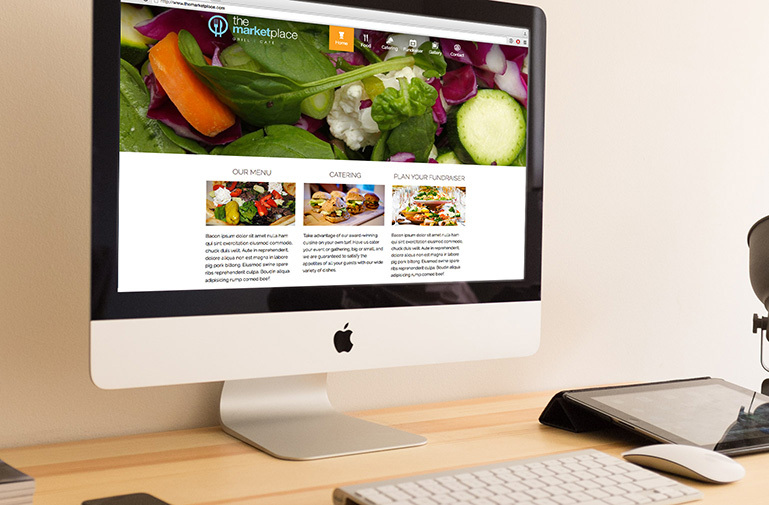 Most of the websites we develop are based on WordPress or Echo, our advanced CMS platform, depending on the needs. Proin laoreet venenatis augue, eu commodo ligula fermentum at. Vestibulum ante ipsum primis in faucibus orci luctus et ultrices. Suspendisse tempor leo at massa laoreet vel tincidunt leo molestie. Proin tristique accumsan nisl, quis sollicitudin urna ullamcorper posuere cubilia curae vel. iProject offers a wide variety of specialized web services to help your business achieve the best results. Our consultants will give you detailed information on how each of our services can help your organization. For more information please read the sections below. We host our systems on 16-core Xeon Servers, 32 GB RAM, 16 SAS2/SSD hard drives in 2 raid-arrays and CentOS 6 Linux Operating System each. Linux Servers are ideal for hosting business web sites and complex web applications offering high quality services comparing to servers running Microsoft Windows and SQL Server. Our servers also have separate SAS2 or Enterprise SSD hard drives dedicated to the database and offers 99,99% availability. This is possible through 24/7/365 monitoring in the most advanced Data Centers in Europe and US but most importantly due to the extremely low number of hosted applications. Most hosting companies host between 500 to 10,000 web sites per server. Each of our servers host no more than 300 web sites. iProject acts as an official domain name registrar offering managed services so you can never have to worry again about registrations, renewals or expiries. Our SafeRenew service will guarantee your domain renewal even if we cannot reach you. Additionally, iProject offers TLD (Top Level Domains) in almost every country so in case you want to expand to new markets, you will have all of your domain names under one roof. One of iProject’s main services is Website Maintenance. 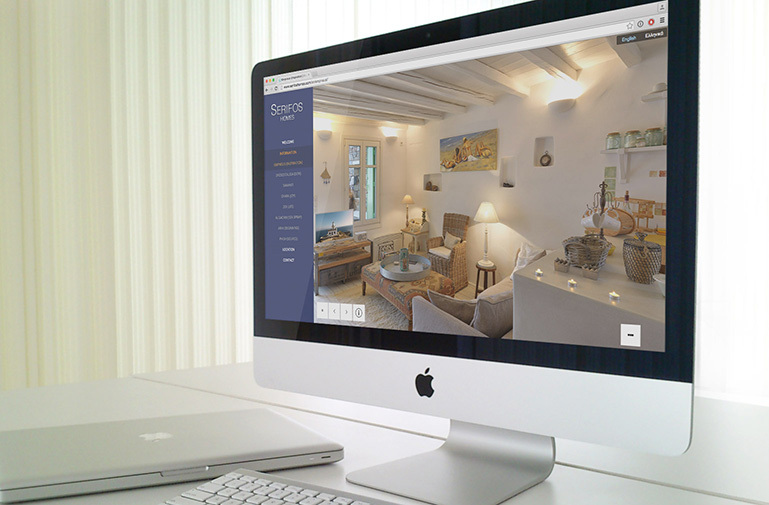 With Website Maintenance you can rely on us to manage everything on your web property from content to development. With very low hourly rates you can have a full IT team at your disposal whenever you need them, for any task without contracts or minimum charges. iProject ReportingNow our maintenance team is just an email or call away. Echo users can also enjoy our built-in iProject Reporting application to make the requests even faster and easier. 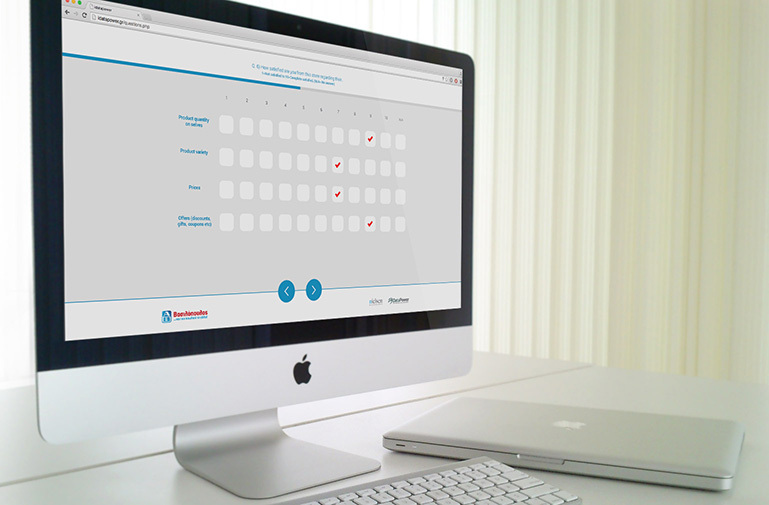 After each month, you will receive a detailed report including every single task with all the necessary information. If you run a mission-critical web application with reliability and high-availability being top priorities, you could benefit from iProject’s Web Monitoring services. Web Monitoring offers Server, Email, Backup, DNS and Domain name availability 24/7 with automated alerts and monthly reports, so you can focus on what matters most, your business. For more information on iProject’s Web Monitoring service please contact us. Wouldn’t it be great to sleep well knowing that all of your data, emails and files are automatically backed up to a remote cloud location? Now with iProject Cloud Backup service you can have all of your information backed up safely and securely to our cloud servers and available to you whenever you request it. With flexible backup plans we can find the best tailor-made solution for your business. For more info on iProject’s Cloud Backup service please contact us. iProject, as an official Thawte partner, offers a wide range of SSL certificates to help you maximize the security of your web property.